Itching to discover where the most diehard wanderlusters among us are wish-listing? We’ve got the lowdown on the 10 stays around the world that have caught the attention of the people – and for good reason. 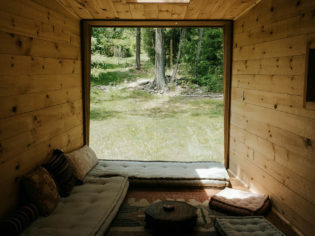 Amalfi Coast villas, Joshua Tree cabins, Marrakech riads and even a secluded Aussie property, these Airbnb gems clocked up the most likes on the site’s Instagram page in 2018. And when you see the images, it’ll be crystal clear why each of these incredible places deserves a spot in the top 10. So, the only thing left to ponder is… will you bag yourself a stay before everyone else does? Fingers and toes crossed for you. Got a grown-up fascination with teepees? Well this life-sized A-framed cabin in the Philippines is sure to tickle your fancy – it sure did for the 45,000-odd people who liked it on Instagram. Thanks for the pic, @thetriangle.siargao! Tucked away in the jungle, this property may look a little secluded, but you’ll have more than enough to live with, two friendly dogs as your welcome party and an indoor swing to pass the time. Pretty cool, eh? Well, this is living, isn’t it? A cliff-side Amalfi Coast property that’d make anyone want to pack their bags and head for Italy. It’s not hard to believe this blue-soaked shot by @lizbedor received over 49,000 Instagram likes. A private oasis in Italy, anyone? The property has its own private dock: the ideal starting point for a daily of sailing or the setting for a simple stroll after your private pool swim – whatever you prefer really. Was there ever any doubt that a Lake Como property would feature in this list? Not in our book; it’s one of the most magical places on Earth – and this photo captured by @sssoph90, which garnered almost 50,000 likes shows you why. Situated high above the village of Varenna, you can see why visitors are itching to stay here, and we haven’t even mentioned the property’s three balconies, which happen to be just perfect for stargazing. This could be the only balcony in the world where you don’t mind staring into the neighbour’s – and vice versa. Set in Rome’s trendy Trastevere neighbourhood, this stylish apartment is the perfect place to sit with a good book and a glass of wine and watch the world go by. It’s no coincidence that the photo, taken by @jonisan, amassed more than 50,000 likes. The apartment feels serene but is also within walking distance to all things Roma, which means – you guessed it – incredible pizza is never too far away. Hooray, Australia made the cut! Yep, a blissful little oasis on the NSW Hawkesbury River that can only be accessed by boat. Imagine laying out on the sun-kissed deck all day long, winding down the clock with a glass of wine. It’s no wonder this pic, taken by @sarahlianhan, racked up over 55,000 likes. All we want to do is lay out on the property’s private pier and swim to the secret beaches scattered around the home. Well this is not your average poolside by any stretch of the imagination. This stunning Moroccan homestead is your own private piece of heaven during your stay, ideal to curl up with a good book in, and waste the day in utter bliss. The photo taken by @theresatorp was liked on Instagram just under 60,000 times and we can see why, we feel positively peaceful just looking at it. Tell us, where on Earth can you stay at a place with a lookout reminiscent of a setting of an old Western movie? Looking at this photo, you almost expect Clint Eastwood to ride by on horseback, tilt his hat in your direction and say, ‘nice digs’. It’s no surprise this image taken by @alalam100 received over 65,000 likes on Instagram. The Joshua Tree cabin is the perfect spot to appreciate the calm of the Mojave Desert and provides pretty much undisturbed daily sunrises and sunsets. Bliss. A modern version of Robin Hood-style dwellings, this treehouse gives guests that ‘you’re on your own’ feeling in a somehow soothing way. During your stay, the swimming pond nearby will be your best friend, before you ascend up to your bedroom loft and take in the stars. 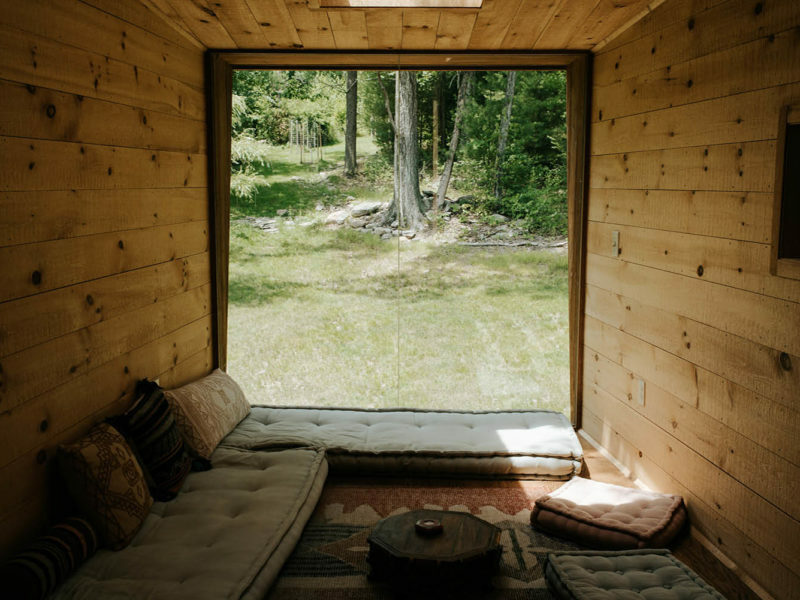 The treehouse is located near Woodstock in New York state and this image alone shows you why visitors are drawn to this woodland escape. Like something out of a romantic movie, this Ravello property perched above the Amalfi Coast screams ‘Italy’ in every stereotypical sense – and we couldn’t be more pleased about that. The vine-strung window looks out to the quaint town and hillside, and immediately gives you both the feeling of peace and the thirst to get out and explore. The image is taken from the dining room of an old mill that has been turned into a homestead, just a stone’s throw from the beautiful Amalfi Coast. Imagine staring out a window from the comfort of your bath tub and seeing this. By ‘this’ I mean a stunning vista of horizon-stroking mountains, a smooth pool of bright blue water and a crisp, cloud-covered sky. That’s what you’ll get when you choose to take your baths at this Queenstown alpine retreat, which overlooks the stunning panorama of Lake Wakatipu. It’s not hard to determine why this place scored the number one spot with almost 110,000 likes. Can we stay?! Image taken by @chachi86.